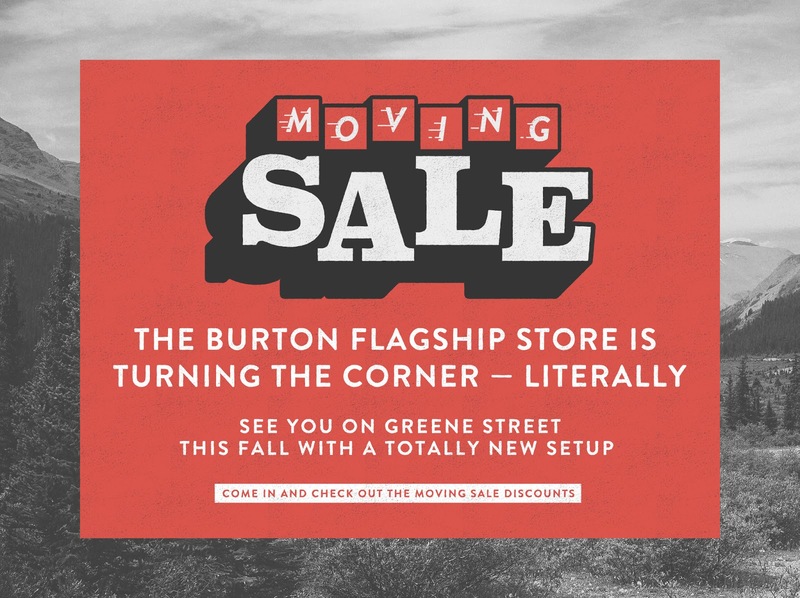 Please join us to celebrate the move of the Burton Flagship NYC Store! Drinks, appetizers and the deepest discounts on your favorite gear before we move! Tags: Burton, drinks, free, Free NYC, nyc, party, sale, shopping, snowboard. Bookmark the permalink.